This was a great year for new lenses, with just about every company releasing one or more excellent lenses. Zoom lenses, prime lenses, specialty lenses—so many new pieces of glass arrived in most categories that we’ve picked more lenses than usual for our Editors’ Choice. These new prime lenses from Olympus are perfect for portraits, weddings, travel and more, thanks to the soft, luscious background bokeh. Equivalent to the look of an ƒ/2.5 lens on full-frame cameras, these lenses fill out the lineup for professional photographers and for amateurs alike. 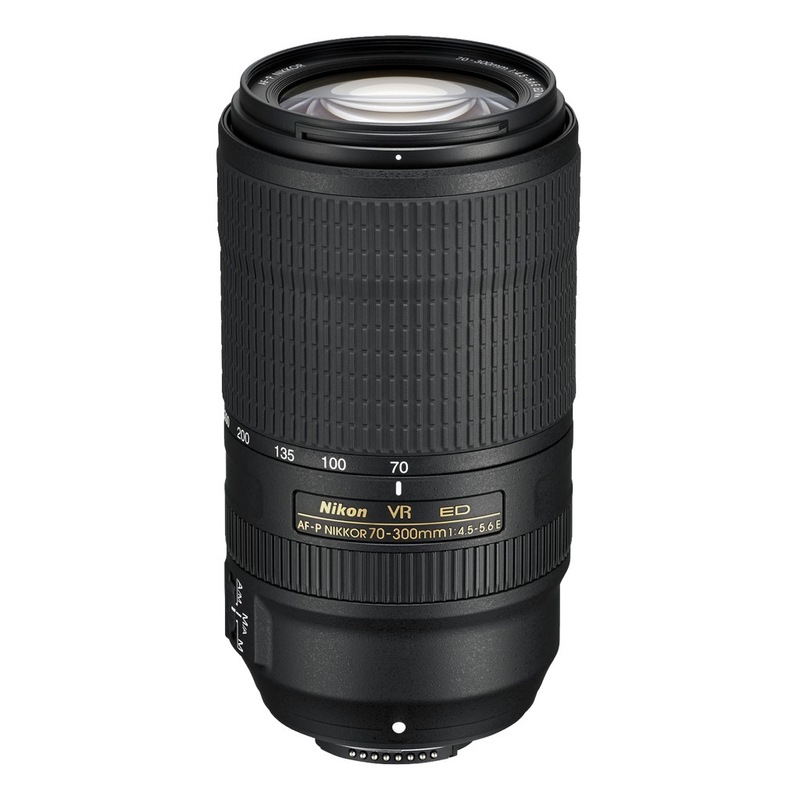 An update to a previous favorite, the new AF-P NIKKOR 70-300mm F/4.5-5.6E ED VR is a perfect lens for travel and sports shooting, and is a great all-purpose lens for the enthusiast photographer. Lighter than the previous model and with a much-improved image-stabilizing VR mode, this lens provides 4.5 stops of additional stability. Canon’s new trio of tilt-shift macro lenses are unique in that they provide both close-up focusing and tilt-shift capabilities to make these high-quality optics extremely versatile. 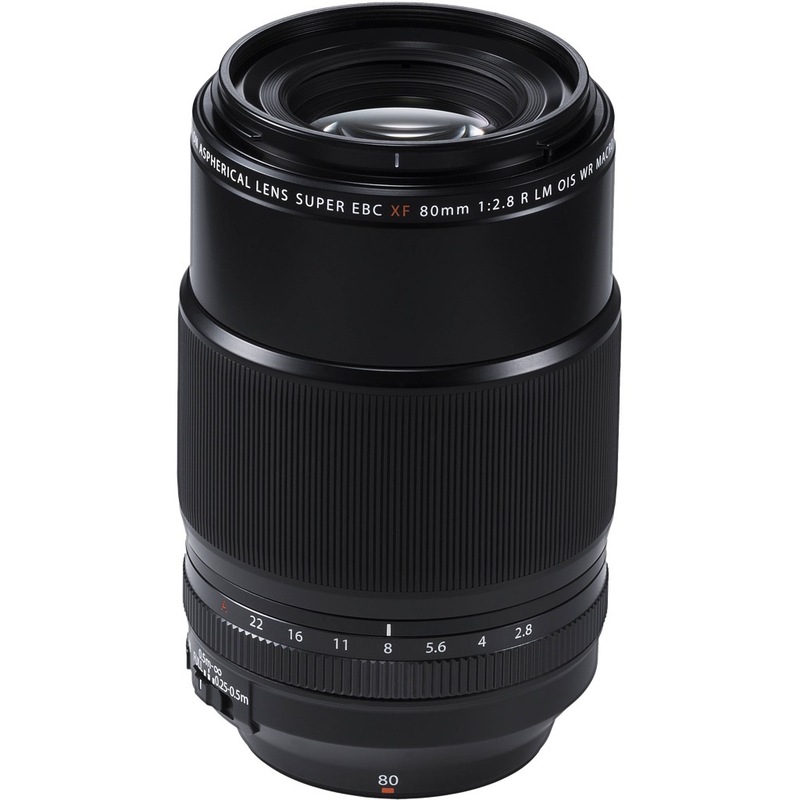 The lenses can be used for portraits, landscape or architecture, with the tilt/shift functionality adding a timeless subject blur, or providing perspective distortion, and then can refocus on small objects for macro and product photography. The G Master lenses from Sony are the company’s highest-resolution and highest-quality optics, and the new 16-35mm F/2.8 GM is the most versatile for the photographer capturing life’s daily moments, travel and even extreme sports. The super-wide-to-wide-angle lens creates a unique perspective, but the internal design keeps the edges sharp and virtually eliminates flare. This XF80mm might have an alphabet soup of a name, but all those letters add up to mean that this lens is fast to focus, weather-resistant, can capture macros, and has image stabilization, plus Fujifilm’s renowned image quality. 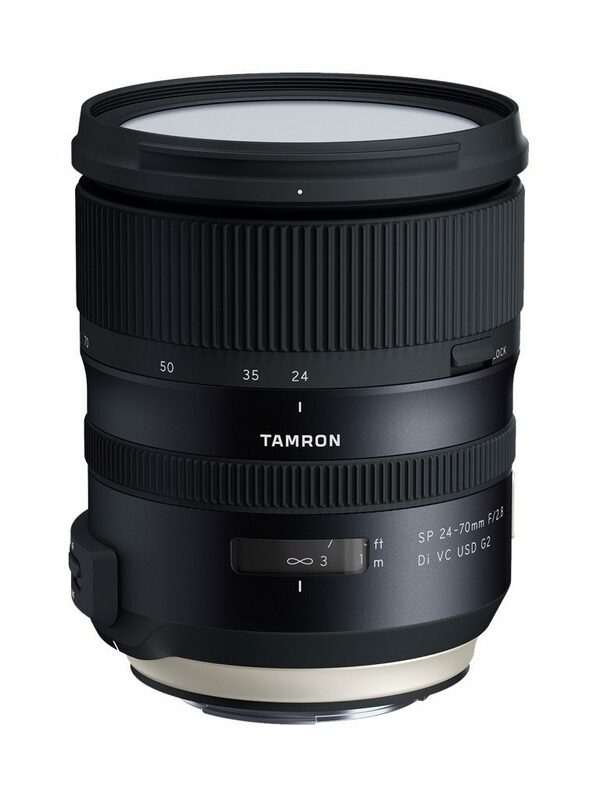 Tamron has jumped into the high-end aftermarket lens world with their excellent 24-70mm lens, available for Nikon and Canon. 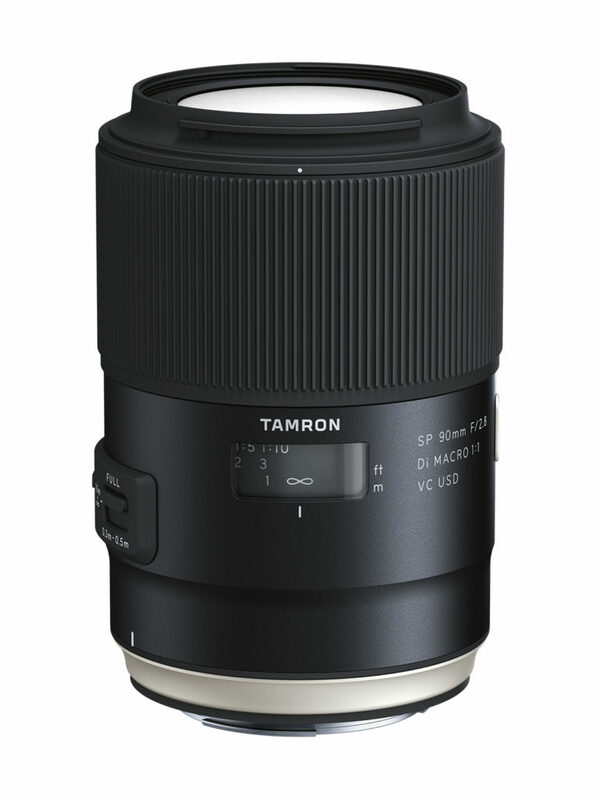 Tamron put their best technology into this lens, including anti-reflective coatings, 5 stops of vibration compensation and high speed focusing. It’s a great sign of what’s to come from Tamron. Another great affordable long telephoto zoom, we’ve used this Sony lens to capture everything from soccer games to fighters at an airshow. With a dust- and splash-proof design, this is a terrific lens to use on Nikon or Canon, and the Sigma MC-11 converter allows the lens to work on Sony’s E-mount as well. 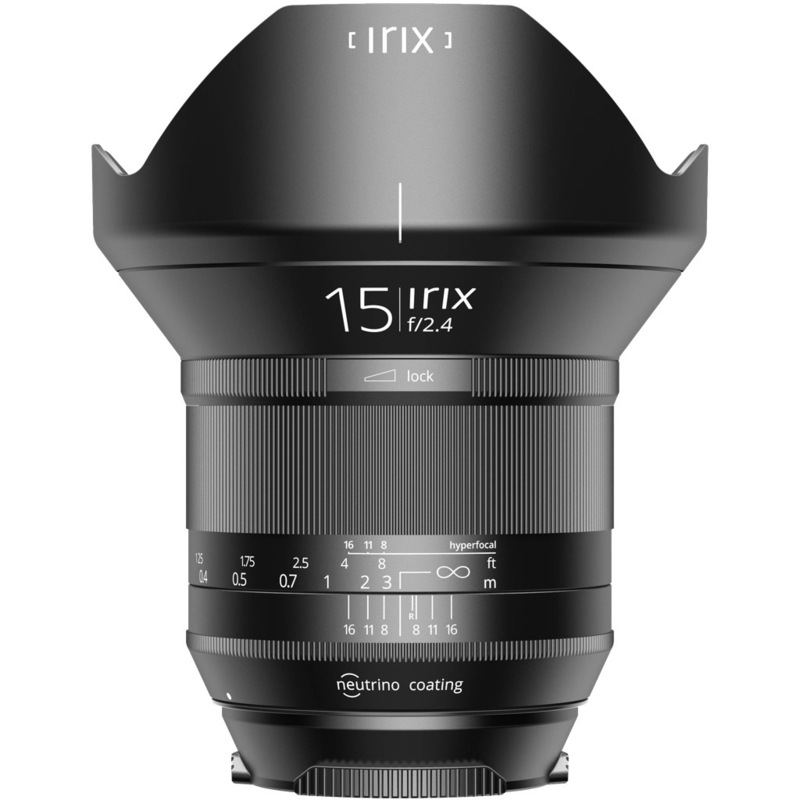 A great wide-angle prime lens for those on a budget, the Irix 15mm lacks autofocus but doesn’t skimp on image quality. Available for Canon, Nikon and Pentax mounts, the lens has engraved focus settings and a “click” stop at infinity. Sometimes photographers forget the importance that lenses play in their images. We talk a lot about sensors and dynamic range and frame rates, but a photograph is only as good as the glass on the front of your camera. The step from a kit lens to a more professional lens often is the most important upgrade an amateur photographer will make; learning how to find the right glass for your assignment is one of the most important tasks as a pro. This year, there wasn’t one “perfect” lens, but instead a whole range of them, each an example of the quality of optics available on a given platform or shooting style. The Tamron SP 90mm macro, our choice for Best Macro Lens, was fast enough to capture bees as they flew around gathering pollen, and the image stabilization enabled handheld shooting. Sigma’s “ART” lens line has been a shining example of how high-quality glass doesn’t have to come from the camera manufacturers. The company’s professional-level zoom lens for APS-C cameras is a perfect companion for a camera like the Nikon D500, D3400 or the Canon 80D and 7D Mark II. With a fixed f/1.8 across the whole zoom range, the lens provides tack-sharp images with creamy background “bokeh.” The lens uses three Low Dispersion and one Special Low Dispersion element, plus high-refractive index and high-dispersion-index elements to make some of the best-looking images we’ve seen in the format. The lens is available in Canon, Nikon, and Sigma mounts. Ask a Fuji fan what they like best about the platform, and the quality of Fujinon lenses will be one of the first things you hear. The new Fujinon XF100-400mm is one of the most versatile and useful lenses we’ve seen—a “must-have” for Fujifilm shooters. 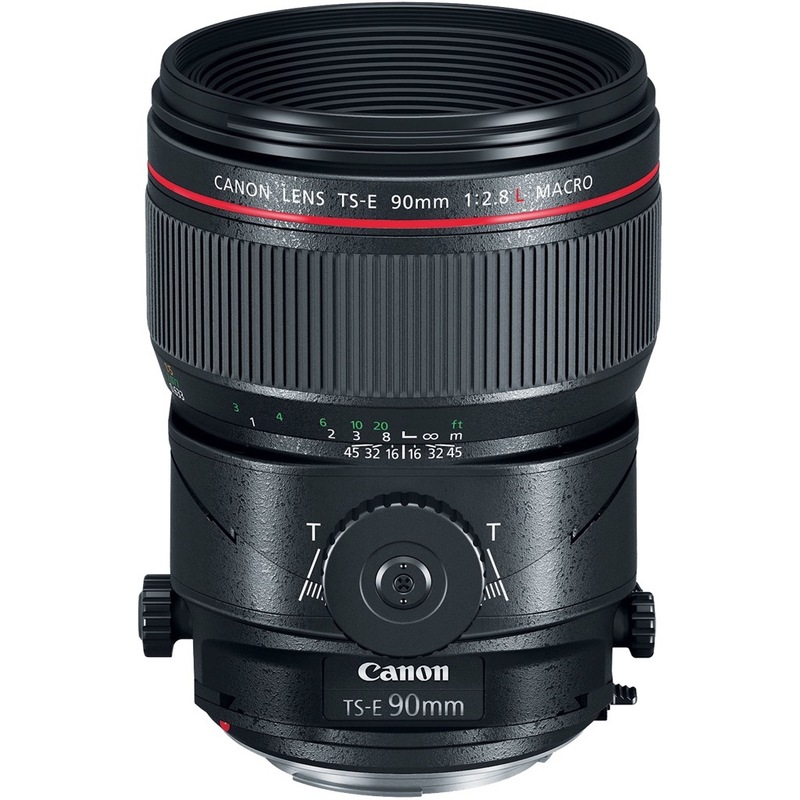 The lens has a 35mm equivalent of 152-609mm, yet it weighs less than three pounds. The impressive five-stop image stabilizer system means it’s possible to handhold this lens when shooting at the longest telephoto setting. Perfect for travel or rough-weather assignments, the XF100-400 is weather and dust-resistant and can work in temps as low as 14o F.
This macro lens isn’t just our favorite macro of the year; it’s one of our favorite macros of all time. Bright, sharp and incredibly fast to focus, it’s a perfect lens for the close-up shooter. Thanks to the vibration reduction in this lens, we were able to capture shots of honeybees harvesting pollen from a sunflower plant without any motion blur at all, and then turn around and capture portraits of subjects at a perfect medium-telephoto distance. Pair it with an APS-C camera, and you get a 140mm macro. Tamron used their new eBand Coating and XLD optical design for edge-to-edge sharpness, clarity and vibrancy. Sony released three new lenses in their “G Master” series this year, optics designed for the future of high-resolution sensors, boasting a minimum resolution of 50 line pairs per mm. The 24-70mm is one of our two picks for the Editors’ Choice this year. The 24-70mm zoom is one of the most common lenses to find in a pro’s camera bag, and the new Sony gives the existing glass from its competitors a run for their money. It’s built around one XA, two Aspherical, one ED and one Super ED element, and the resulting lens is bright, sharp and nearly flawless. The second GM lens in our Editors’ Choice Awards is the medium-to-long-reaching 70-200mm, an essential lens for the sports shooter. With the same high-resolution design and a durable outer shell, this new lens allows the Sony mirrorless shooter to sit side by side courtside with Nikon and Canon shooters and not worry that their lens isn’t up to the task. 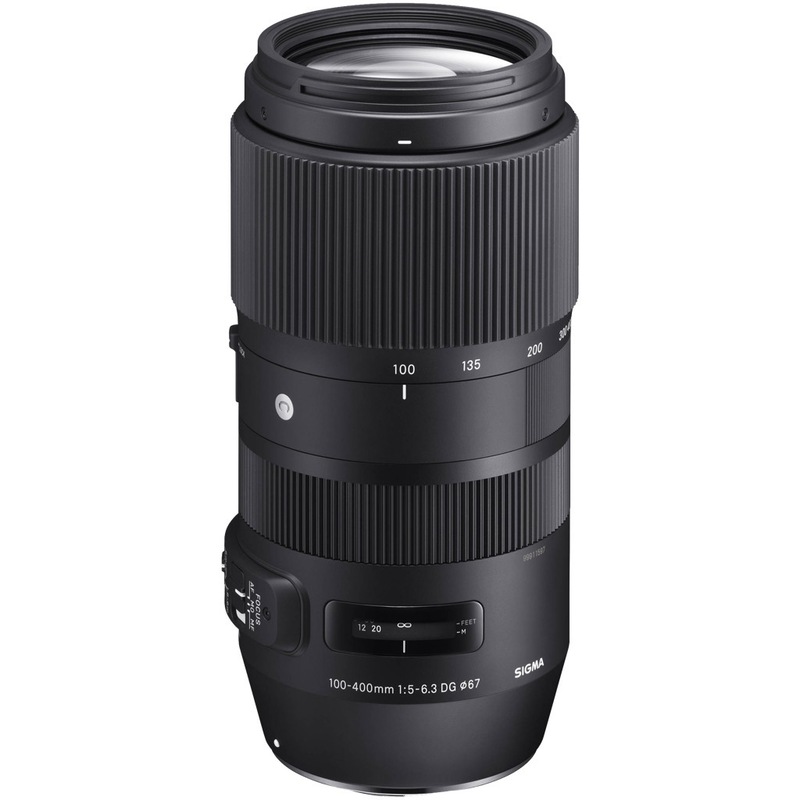 Any Olympus or Panasonic shooter who lamented that they didn’t have the reach to capture wildlife or long-distance sports can rest easy now that the Olympus 300mm F/4.0 IS Pro lens is here, and it provides the same telephoto reach of a 600mm lens in the 35mm format. Splashproof, dustproof and freezeproof, the lens is designed to go where the action is. 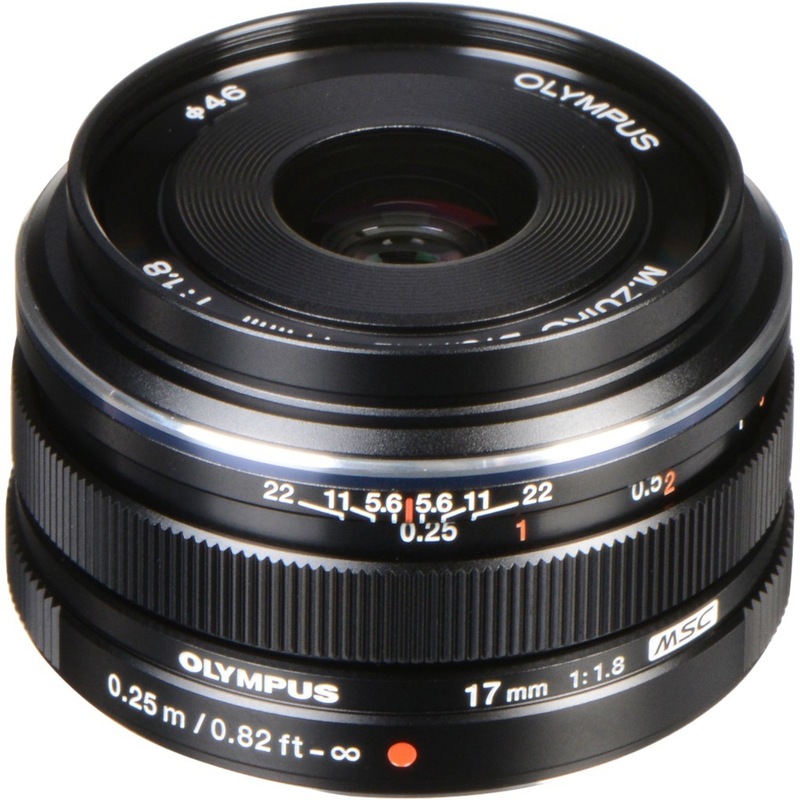 Olympus used all its design acumen to create a lens with exceptional image quality, featuring their Z Coating Nano for ghosting and flare reduction, Super EDA glass for tack-sharp resolution and image stabilization up to six stops so it can be shot handheld. Canon’s newest macro lens is an interesting design—compact, lightweight, wide and fast. It allows the shooter of the Canon EOS M system to capture macro images at up to 1.2x life-size. High-performance UD and aspherical elements give it excellent image quality. The most interesting thing about the lens, though, is the built-in LED light around the front opening. This light allows the lens to balance out the harsh shadows usually found in macro photography, and it’s a great solution to a problem that all macro photographer’s face. Tokina isn’t one of the names that’s on the top of your head when speaking about lens manufacturers, but the Tokina 14-20mm is worth thinking about. 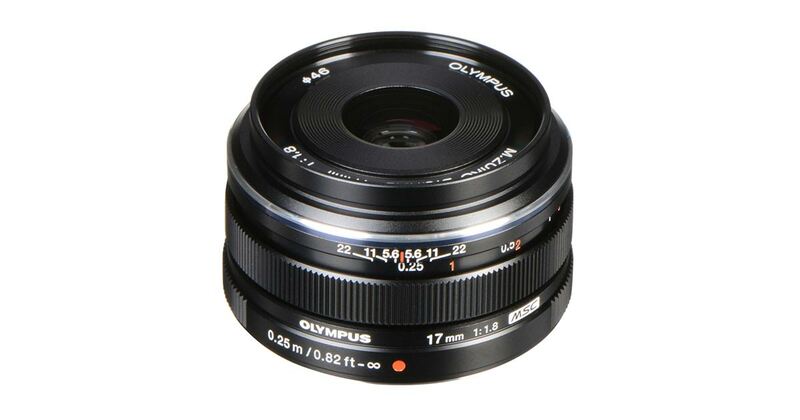 Designed for APS-C cameras (where it has around a 22mm to 32mm focal range), this lens is an excellent solution for the photographer who wants to go wide, but doesn’t want to carry several primes or something as large as an 11-24mm lens. The fast ƒ/2.0 aperture is one of the widest in this class of lenses, which gives the 14-20mm the ability to create beautiful background blur—something not possible with many wide-angle lenses. Panasonic’s partnership with Leica is a boon for the Micro Four Thirds shooter, as it results in lenses like the Summilux 12mm F/1.4. With a focal length equivalent of 35mm, this is one of the best “standard” lenses for the MFT user. Since 35mm is the sweet spot between wide angle and a standard lens, it’s versatile enough to do portraits with low distortion and landscapes with plenty of room. With a ƒ-stop of 1.4, it will provide the best background blur in the form and creates tack-sharp portraits. Focus with the lens is nearly instantaneous, and the splash and dust-resistant housing keep it going in bad weather. Sony and Zeiss have a long relationship and this year that bore fruit in the form of new Zeiss Batis lenses. These fast, wide-aperture lenses for the Sony E-Mount (aka “mirrorless”) cameras are some of the best lenses we’ve tested. The Batis lenses are sharp and have no discernable vignette at the corners, even at ƒ/2.8. The lens has 11 elements in 10 groups and uses “floating” elements to keep image quality sharp at any focal distance. A unique OLED on the top of the lens displays focus distance and depth-of-field settings, which is helpful for low-light shooting. Two aspherical elements and five “special” elements reduce chromatic and spherical aberrations, and the result is some of the sharpest images we’ve seen.